Investing in funds may seem like a stretch for some. Partly due to this are the surrounding misconceptions and beliefs that tend to cloud the investors’ perception. So to give light to what investing in fund is all about, we have the honor of interviewing Teh Hooi Ling of Inclusif Value Fund in this session of the Bid and Ask series. Teh Hooi Ling is the Portfolio Manager and Director of the fund of Inclusif Value Fund, formed last 2017. She was initially a financial journalist, spending 22 years in one company of one paper and one employer: Business Times. All the while being a journalist, Hooi Ling has always been interested in the financial markets and investing. That is why soon after, she took her CFA and then a Master’s degree in Science in Applied Finance. After those, she started her weekly investment column called “Show Me the Money” that won her many followers in the industry. All of the articles written have been compiled into eight bestselling books. She would get offers from financial institutions asking her to join them. So along the way in 2013, she was offered to join a startup firm. At that point in time, she was given the opportunity to be a fund manager, a partner in a fund management company and to be an entrepreneur. Hooi Ling then continued by recounting everything she had gained from all those. And then last year, she took another turn in her life and started her own fund, the Inclusif Value Fund. What is the Methodology that is Driving Inclusif Value Fund? Testing and Research – This enables them to identify the factors that will ultimately drive stocks returns all the time. Portfolio – Finally, they will add those stocks into their portfolio. All of their process has been backed by research, both from them as well as those of academics. 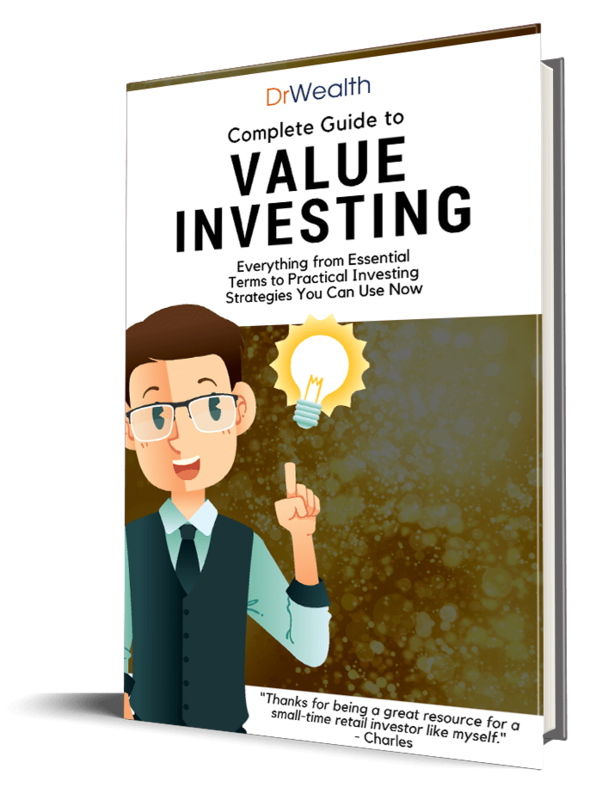 They have found that buying cheap value stocks actually generate both normal returns in the long term. These are stocks that are simply trading at below their value in terms of whether its assets that they own, or the earnings that you will generate. Once they identify this, they will go about selecting such value stocks and then adding the year of quality criteria to it. They need to be generating cash from the operations. They need to be dispersing the cash to investors as dividends. They also need to have good corporate governance. Once the stock meets all these criteria, then they will add those into their portfolio. And as long as they are able to get stocks that meet those criteria and add them into their portfolio, or the closer they will be in terms of population to that kind of thing, then the higher the probability that they will generate that kind of returns. Hooi Ling further added how they currently have about 640 stocks in their portfolio and about 14,000 stocks in their universe. That would be about 4.5 percent of the universe in their portfolio right now. As noticed, the two layers mentioned above can be viewed as the first part being primarily quantitative and the second part as employing some qualitative checks. We then asked Hooi Ling how much of the process is qualitative since the methodology is of a quant kind of fund. Ultimately, the methodology is still predominantly quantitative, except probably for the part about corporate governance or sometimes in terms of accounts receivables, cash flows, and the like. One significantly rare thing about Inclusif Value Fund that sets it from the rest in the financial industry is that they don’t any management fees. Rather, they only charge performance fee. That is why then, if they don't generate returns for the investor, then they will get zero. They will have to fork out money from their own pockets to pay for all the expenses incurred in running the fund. To put this all together, it would come down to the value of “fairness”, according to Hooi Ling, from the investor point of view. With the structure such as this of Inclusif Value Fund, one can’t help but wonder how they cope up with the downturn. When the market is not doing well, they may not receive performance fees for a number of years. This means that they have to cover the operating expenses in this case. As mentioned above, they would always opt to buy stocks that are really cheap. Let us say that there is a company—one that owns buildings and properties and have cash and financial assets, etc.—worth $1.00 per share after taking away all the liabilities. Now instead of buying with that amount, they will only go for it by paying 50 cents as a safe bet. Still, there will be no guarantee that it will not go down to 40 cents or even 30 cents. When such happens, that when they have systematic risk and macro uncertainties. And of course, this will undeniably incur a loss on them. But it helps to remember that for those cases and events, they are all just temporary. It’s not going to happen for a long time. The market will rebound eventually. The second part is when they cannot find anything cheap to buy. So then they will actually want to hold a little bit more cash. By holding more cash, they will have the ammunition to pick up some stocks when markets come down. Prolonging the climb will only happen when valuations are at lofty levels. So at depress levels, it is quite unlikely that the market will be staying down and going even further for long. Over the long-term, the market trend is actually up. Over the last 40 years, 60 percent of the month, it's up.. And then 40 percent is down month. Therefore, the odds are definitely in their favor. Also in the past 40 years, Hooi Ling said how they haven't seen any prolonged or sustained decline for more than two and a half years. So as long as they make sure that they have enough reserves to last through at least three years, then she is confident that will be fine. In other words, there are many layers of protection that comes when such happens. And base on history, down markets is not as prolonged as what people think it is. As what was said, being able to cover three years of operating expenses, will aid in going through it. Furthermore, the strategy will take care by itself because as the market becomes more expensive, you actually hold more cash. So it’s easy to recover with that ammunition to buy more cheap stocks. As the market comes down and if you think that the market is cheap enough, then they will try to encourage their investors to put in more money and pick up things on the cheap. Once the market rebounds, then they will also able to earn a little bit of fees from there. On The Belief That Retail Investors Stand No Chance Against The Big Boys i.e institutions, hedge funds. There is always this belief that the institutions and the funds have more advantages than an individual investor. This would often lead to people giving up investing by their own. We then ask Hooi Ling her thoughts about this as well as the ways that an individual investor should do to increase their probability of wining. At the onset, Hooi Ling pointed out how she doesn’t entirely agree with this statement. One reason is the fact that smaller investors are actually nimbler. This means that they can buy into small cap stocks, which are cheap and which big institutions cannot buy into because they are just too huge. But then again, there is the downside for investors concerning their limited fund size. They won’t be able to diversify as widely as they would like to in a cost-effective way. And if you don't diversify enough, then the risk for your portfolio may be higher. So there are definitely pros and cons to being small. Overall, the recommendation she gives is to look at where the big funds are not investing in and also to diversify enough. Avoid putting everything you have in one particular stock. Commonly, it is the usual for investors to choose fund managers. They would post a bunch of criteria that they like their manager to exhibit. So now let's flip it around and say that if Hooi Ling could get to choose her ideal investor, what would they be? “Volatility is a price to pay for higher returns from equities”. Lastly, the best deal for her is if this someone is willing or be ready to put in money when the market is down and one that has a longer-term horizon, not the short-term trading type. We know that the financial industry is a male-dominated industry. As a female in this view, we asked Hooi Ling if she ever feels any way disadvantaged. On the other hand from being disadvantaged, research has shown that women are better investors than men. For this, she agrees. Though she pointed out how gender is not an issue of clients, she personally feels how women are less egoistic and therefore more willing to listen to other people. There are also the aspects of empathy and being meticulous or more evidence-based. Women are less likely to stick to one idea just for the reason that their views are set. Fair Incentive Structure – This structure is basically a win-win for both the investors and the company. Trust – Hooi Ling pointed out how for many years, through her work and articles, people have known her and her investment process. There is this trust that is already formed. They trust her research and her sound analysis. Evidence – Third, she said how there is already this evidence in her process that proved it worked, based on the previous funds that she handled. So then people got the confidence in them despite the fact that they are new because they employ a similar process. Comfort Level - There are some investors who like to join on fund right from the inception. For this, they offer them that opportunity but with some added comfort level in that they have known Hooi Lin as someone who's been in the industry for close to thirty years. She is also someone who has been spending time studying the market and continuously trying to learn new things from the market, and someone who is not in it for quick buck. To connect with Teh Hooi Ling, just simply go to their website: inclusif.com.sg. There, you can find some materials that will guide you with your investments. Also, if you would like to carry the conversation forward, then you can just drop them an email or just fill up the form present there.